On the beginning of 2018 during a pentest work, I found a firewall that has that should be exploitable using the bug CVE-2017-15944, but somehow the exploits I found doesn’t work on the last step: we never got the code to be executed by cron. In the end I found out the reason: It turns out there was an attacker already connected to the target that halts the cron script execution so other attackers won’t be able to execute the same attack. I will explain an alternative cron script that can be used for exploitation in the presence of another attacker. This exploit has been verified to work on PAN OS 6.1.0, but may work on other versions too (I don’t have other devices or firmware image to check this). I will not explain in detail how the original exploit works, there is a lot of explanation that you can already read in the web (for example this Russian article is very good, you can use Google Translate to read it in English). I have verified that the auth bypass and file creation works on my target before continuing. On the final step of the exploit, all the articles and exploits that I read will use genidex.sh script. The problem with this is: this script will check if another instance of it is still running, and if it is, then it will just exit, preventing us from performing an attack when another attacker is still connected. On PAN OS 6.1.0 (the only version that I can verify that it works) there is another script called core_compress, which is a python script. Just like genindex.sh, this script is also executed every 15 minutes as root. Of course it would a better Idea to start from last path ( /opt/lpfs/var/cores) to first (/var/cores) when constructing an exploit, so if the last one failed we can try with the next path. So that’s all. In maybe 90% of cases most exploit will work out of the box, but sometimes you need to really understand what it does and fix it or find a workaround for a case like this. As a note: I have verified that on latest PAN OS, they fixed a lot of things including this cron script (but I don’t know in which particular version this bug was fixed). TL;DR; You can clone a Pokemon GO Plus device that you own. I have managed to get the certification algorithm. 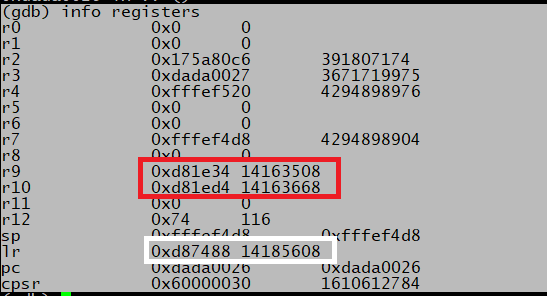 However, there is a per device blob used (specific to a Bluetooth Mac Address) for key generation. I have not figured out how you can generate your own blob and key. Using other’s people blob may be blacklisted in the future (or Niantic may ban your account). I will explain the complete certification algorithm that I obtain from reverse engineering a PGP clone, and then I will explain how I did the reverse engineering and how you can extract your own blob and key if you want to clone your own device. 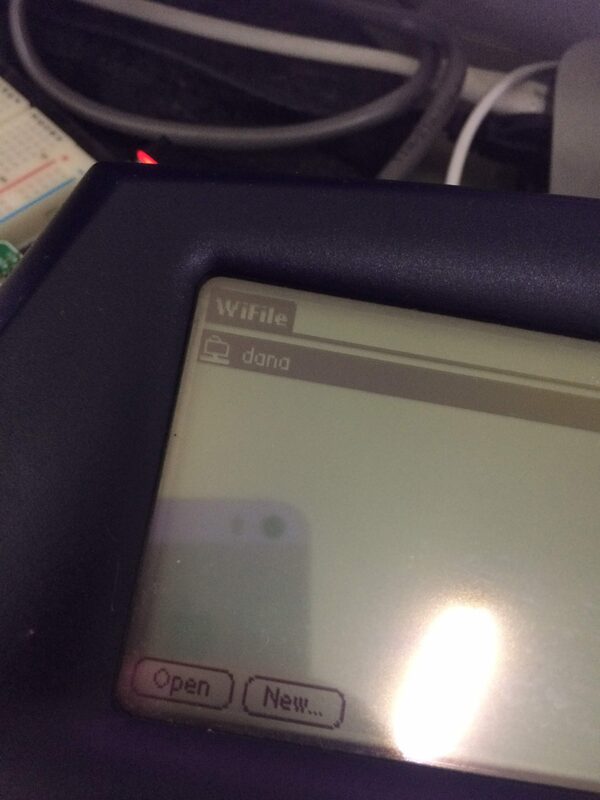 I am providing a reference implementation for ESP32 so you can test this yourself, the source code DOES NOT INCLUDE the BLOB and DEVICE KEY. Before I begin, let me start with the current state of Pokemon GO Reverse and PGP reverse engineering. I am writing this to clear up some confusion that people have on the current state of Pokemon GO Game/App and PGP reverse engineering. The first few versions of Pokemon GO were not protected at all. In a short amount of time people were making bots and maps. Then things changed when Niantic implemented a complex hashing algorithm for the requests to their servers, but this too was quickly defeated with collaboration from many hackers. Starting from version 0.37 on around second week of September 2016 (which is the first version that supports PGP), Niantic added a very complex obfuscation to the native code, and since then they have changed the hashing method several times, and lately also added encryption. Since the obfuscated version came out, only a few people worked on cracking the new algorithms. For a while, there was a group that runs a hashing-as-a-service with a paid subscription but since a few months ago they haven’t reopened their service. Either they have not figured out the latest protection or may be catching up with Niantic is getting boring or no that profitable. On the PGP side, ever since this device was announced in 2016, many have tried to reimplement it in some form of hardware (for example this). Before the device was announced, the Pokemon GO app was still not obfuscated and the certification algorithm was not included yet. When the PGP device was finally released, the corresponding Pokemon GO app that supports it was already obfuscated. On January 2017, a Reddit user BobThePigeon_ wrote a quite detailed article about reverse engineering PGP device. He figured out part of the certification process, but it turns out that it was not the complete process (this is the reconnection protocol). The certification is done at first connection which generates a key to be used at subsequent connections. His write-up only covers the reconnection part. Unfortunately, he didn’t continue this effort, and he never posted anything related to this. So currently (until now) there is no open source PGP device available since the device release data in 2016. 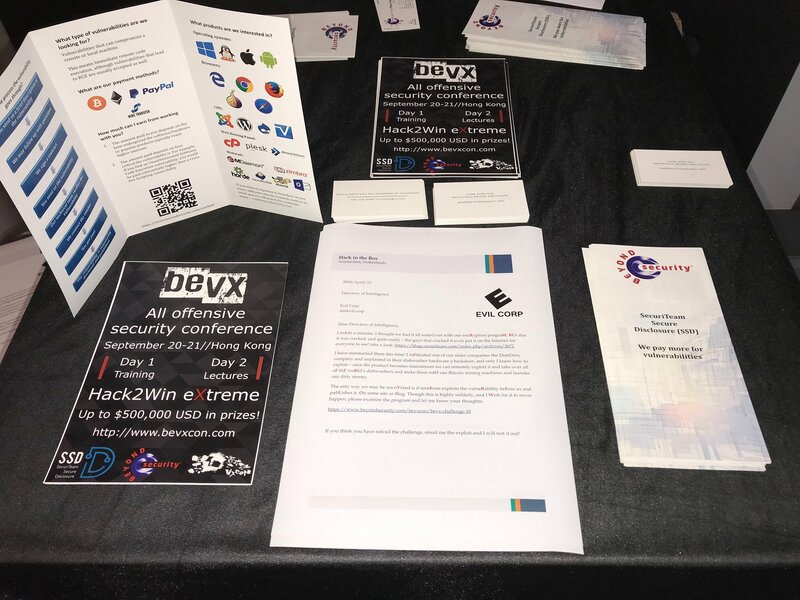 Even though no one has published the certification algorithm, Datel/Codejunkies has managed to reverse engineer this and released their clone: Gotcha and Gotcha Ranger. Just for your information, this company has been in this reverse engineering business for a few decades. To be recognized by Pokemon Go app/game, it needs to announce its name as: “Pokemon GO Plus”, “Pokemon PBP”, or “EbisuEbisu test”. 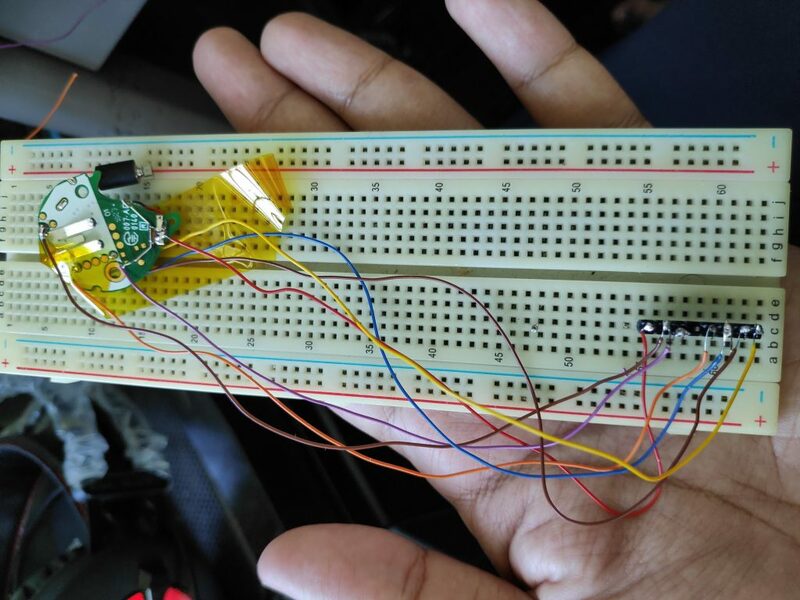 Several people have tried reverse engineering based on the Bluetooth Low Energy (LE) traffic but were unable to get the detail of the certification algorithm. This is because the protocol uses AES encryption with a key that is not in the transferred data (so protocol analysis based on traffic alone is not possible). First I will describe three special functions needed by the protocol. The first one is AES CTR. This is the same as normal AES CTR, except for the counter initialization and the increment function. 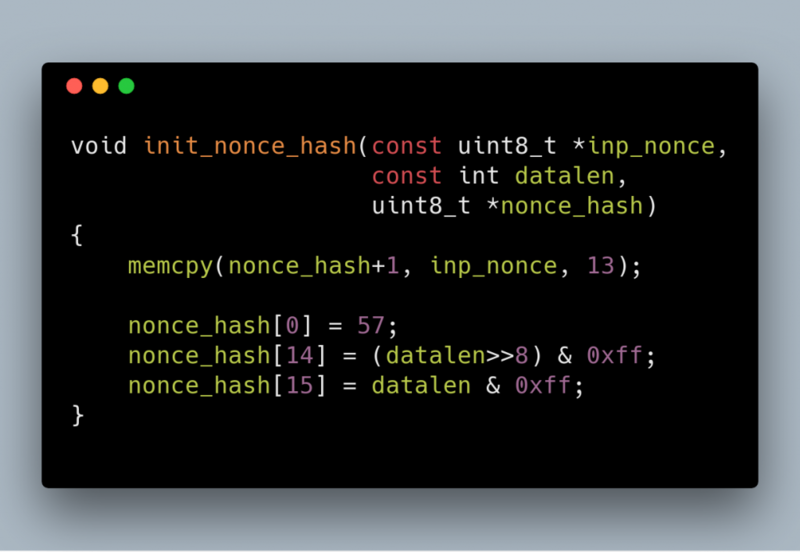 Please note that when exchanging nonce we exchange 16 bytes, only 13 bytes are used, and the other 3 bytes are overwritten. The nonce for AES CTR is prepared as pictured: first byte, and last two bytes are set to 0, and we copy the 13 bytes of the nonce (starting from offset 0) to offset 1 in the nonce. The second one I named it AES Hash, which uses AES to create a 128 bit hash from data. This one requires another nonce which is derived from nonce. This time we set the first byte to 57, and the last 2 bytes to the size of the data to hash. And here is the hash algorithm. This just encrypts the nonce, then xor it with each block of input data, then encrypt again. 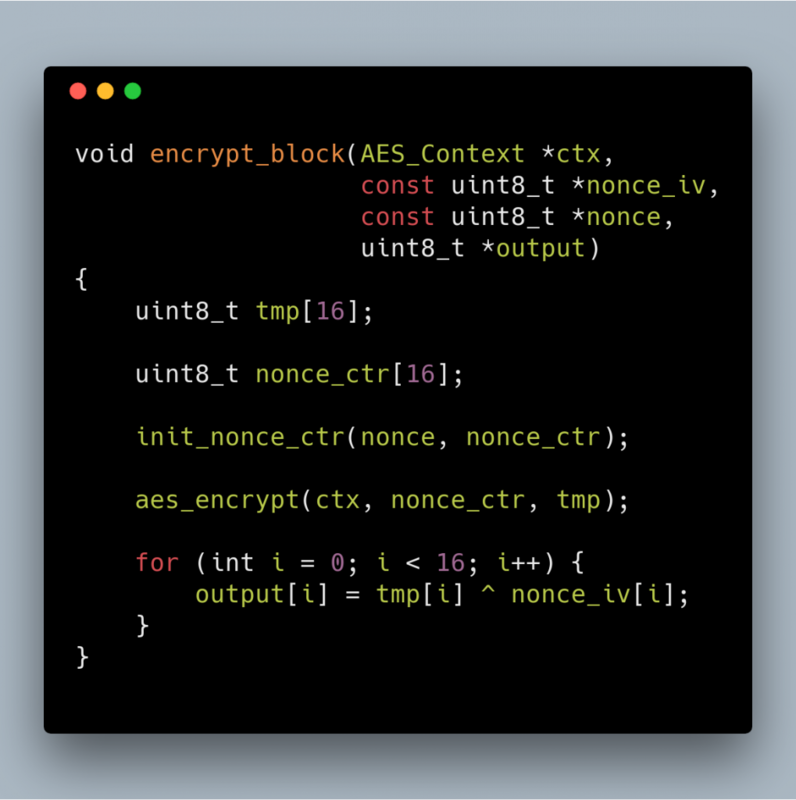 The third one is Encrypt Block which encrypts a nonce that is initialized as if it is going to be used in AES-CTR, then xors it with a data. Now we can discuss the protocol. PGP will generate a random 16 bytes challenge (A), a random 16 bytes session key (Sk), and a random 16 bytes nonce (N1). Encrypt A using Sk . This key, encrypted data, encrypted hash and nonce along with Bluetooth address (in reversed order) and some data obtained from the SPI flash (in my case it is always all 0) is then packed in the structure pictured below. 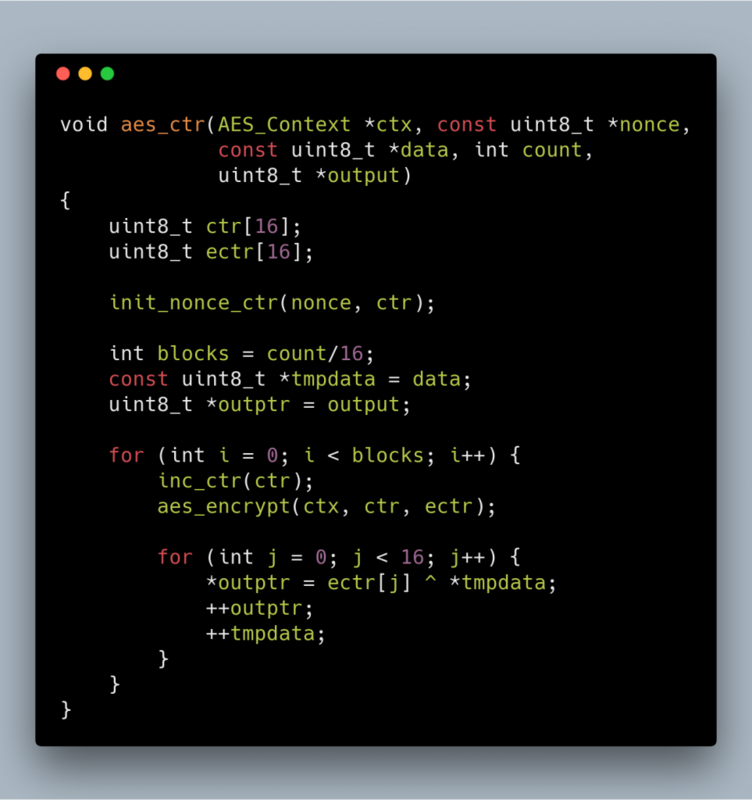 The content of encrypted_challenge is the output of aes_ctr. 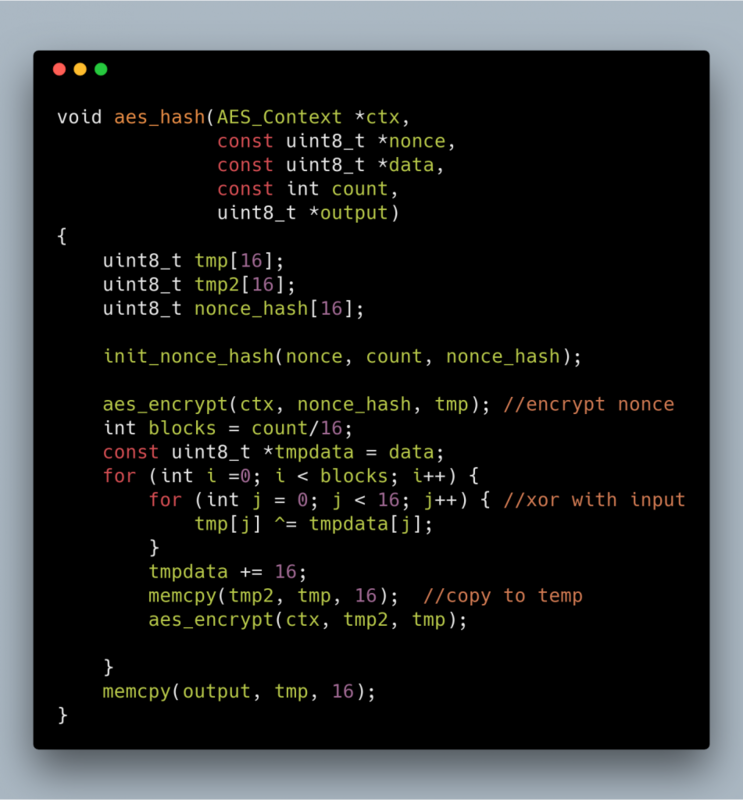 The content of encrypted_hash is result of aes_hash encrypted with encrypt_block. This explanation also applies to next parts wherever we have “encrypted_challenge” and “encrypted_hash”. When Pokemon GO App connects to PGP, PGP will prepare the challenge data, then signals the Pokemon Go app to read the data. The Pokemon Go app knowing the “device key” will be able to extract the challenge A and sends back A , with prefix 00 00 00 00 to PGP. PGP will check that the 16 bytes (A) are indeed the same as the one that was sent. If not then it will terminate the connection. In general, in any step, if something is not right, the connection will be terminated. For the next few steps, the challenge will have the following format (size of this is 52 bytes). PGP will encrypt this static data: 0xaa followed by 15 bytes of NULs (0x00), using the session key (Sk), sets the state to 01 00 00 00 and notify the app to read the data. The app will decrypt the data, and check if the decrypted data is 0xaa followed by 15 zeroes. 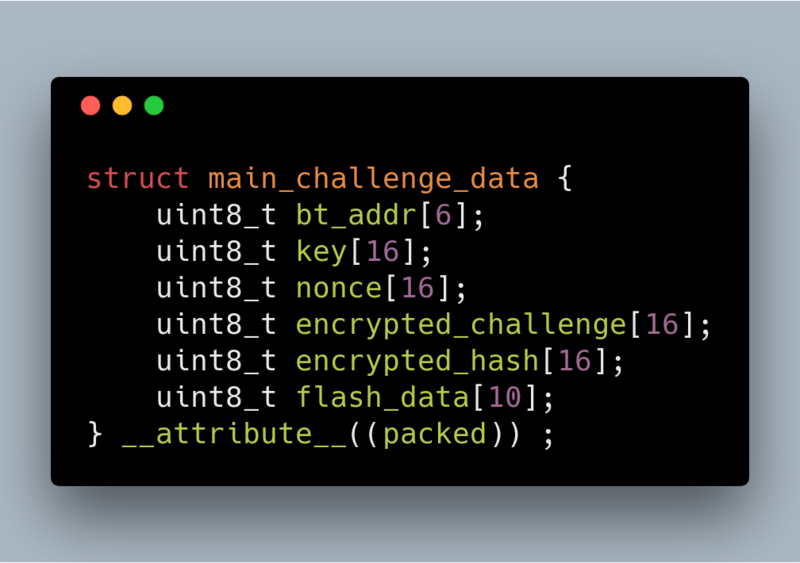 If it is as expected, the app will generate random 16 bytes data, encrypts it and pack it in the same format. Note that in BLE world, app payload packet is limited to 20 bytes, so this will come in several packets. PGP now needs to decrypt this data, and prepare a buffer prefixed by 02 00 00 00 and notify the app to read it. This proves to the app that the PGP device can decrypt the data from the app. 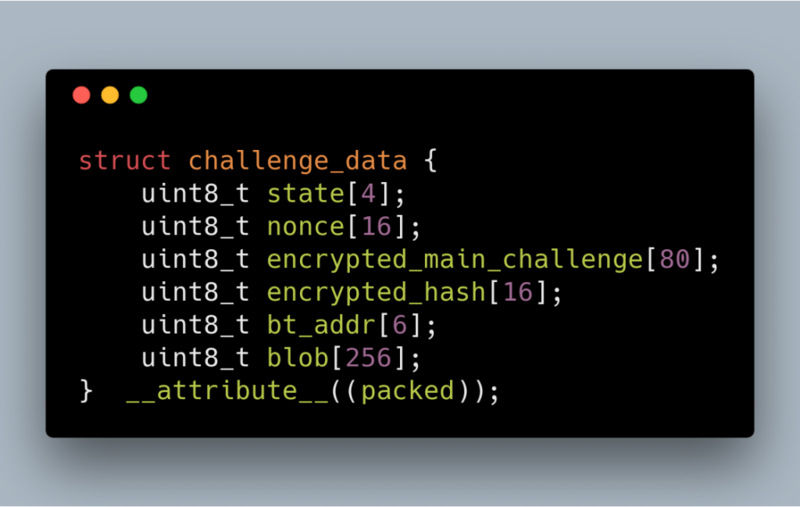 The app will send 52 bytes of data (again according to the next_challenge structure) then PGP will just notify with the value: 04 00 23 00, signaling that everything is OK. When decrypted this final challenge contains the string “PokemonGoooooooo”. The app will then subscribe to button notifications and will start writing to LED characteristics when it finds a Pokemon or a Poke gym. At this point, the green color should light up on the PGP icon. We can tap on the green icon, and the app will disconnect from the PGP. We can tap it again to reconnect. At this point, we can just forget about everything and starts the protocol from the beginning again, or we can perform a reconnection protocol which is faster. This reconnection protocol is the one that is explained by BobThePigeon_. 03 00 00 00 01, and PGP will then acknowledges by notifying the value: 04 00 02 00. When we encounter a Pokemon or Pokestop, the app will send a pattern of lights to be played by PGP. The app will then read the button status to decide what to do with the information. So we can’t reprogram it to select a particular ball or to give berries. Because other people have explained this better than me, I will not repeat it again. Here is a good explanation from a Reddit user on this thread. The next logical step after understanding the process is to reimplement this algorithm in a new hardware to test that it is indeed correct. I started with Android (turns out to be almost impossible), then Raspberry Pi Zero W (got stuck on some bluez stuff), and finally resorts to ESP32. At first, I thought that this is the best method: anyone that has a spare Android can test this. It turns out to be not easy: Android can act as a BLE peripheral but will randomize its MAC address on every announcement. This is done for privacy reason but I thought that it will make it impossible to implement PGP emulation because the PGP protocol uses Mac Address in the encryption process. It turns out that on iOS, the app can’t get BLE address of the peripheral, so I (or someone) should try again reimplementing this in Android. For the Android game version: Niantic should be able to detect/block this easily. The next arsenal that I have is a Raspberry Pi Zero W. I have checked that it is possible to do peripheral emulation using bluez, and it is also possible to change the mac address for BLE. It is also possible to program this using Python, so it seems to be a good choice. However, I was stuck with the bluez/dbus API. The documentation is quite sparse. So I gave up with Pi Zero W. I think it should be possible to do this in Pi Zero W. I don’t want to spend a lot of time debugging the bluez stack so I switched to something that is easier to debug. I chose this device because this device is very cheap (the cheapest is around 5 USD delivered), is easy to program, and I happen to have a few of them. I didn’t have any experience before in programming BLE for ESP32, but programming BLE in this platform is very straightforward. Please note that I just copied and modified the examples provided in the esp-idf , so what I did may not be the most correct or efficient way to do it. I also provided Makefile.test which can be used on the desktop to test the encryption algorihtms, just run make -f Makefile.test and run cert-test. This app doesn’t have a visual indicator, after flashing with “make flash”, run “make monitor” to see pairing progress. Press “q” to simulate button press and “w” to clear button press notification (although this doesn’t seem to be necessary). You can read the method to extract the device key on the next part. This is the details of the reverse engineering part. 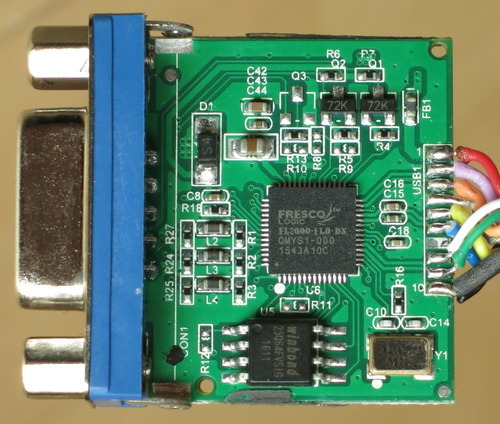 This part is divided into two main parts: the hardware reversing and firmware reversing. I bought a Chinese clone of the PGP for about $20 including shipping (the original one would cost me $88 including shipping to Thailand)., and when I opened the PGP, it turns out the be an exact clone of the original. It uses the same DA14580 chip with the same PCB layout. 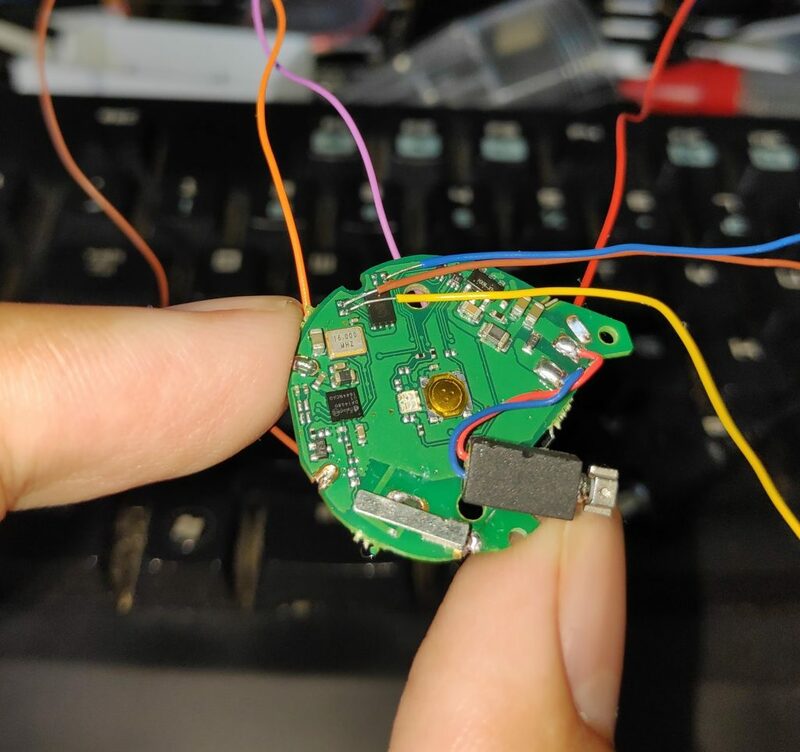 The first difficult part in reversing a hardware is to extract the firmware (since no one has shared this on the internet). To be precise: the difficult part is soldering the wires to the SPI flash chip. Information from BobThePigeon_ post helped a lot because I don’t need to figure out the pinout. Fortunately, this one is a bit easier to solder due to the solder pads that exists in the cloned version. 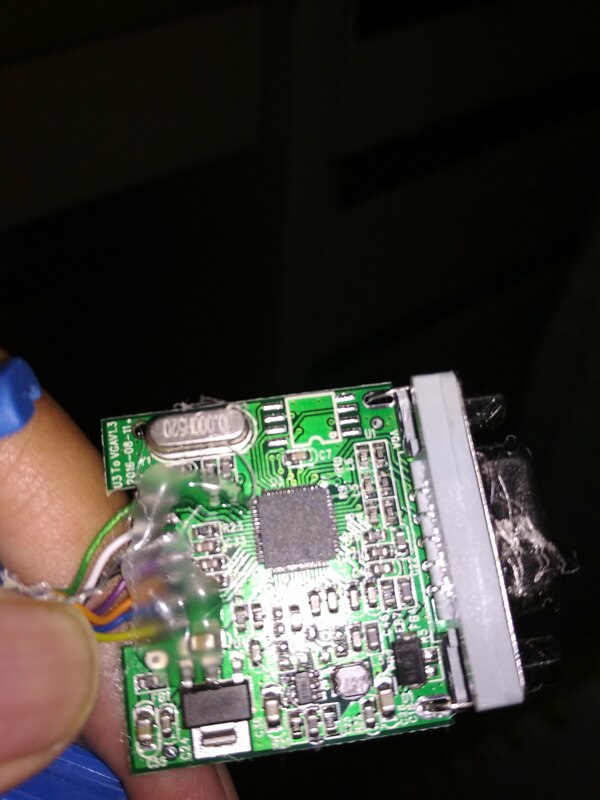 I used a $5 USB Soldering iron with a wrapping wire and it works quite OK. I was a bit amazed that the everything works on the first try. I held the board in place with Kapton tape on a breadboard. Since the hardware is the same, I tried following what BobThePigeon_ already did: holding the RST and read the flash. I use the flashrom package on Raspberry Pi software to read the SPI flash (you can also use Arduino board, Bus Pirate, or anything that can read SPI Flash). Later on I also made a code to patch and reencrypt the firmware which can be uploaded using the same SPI connection. 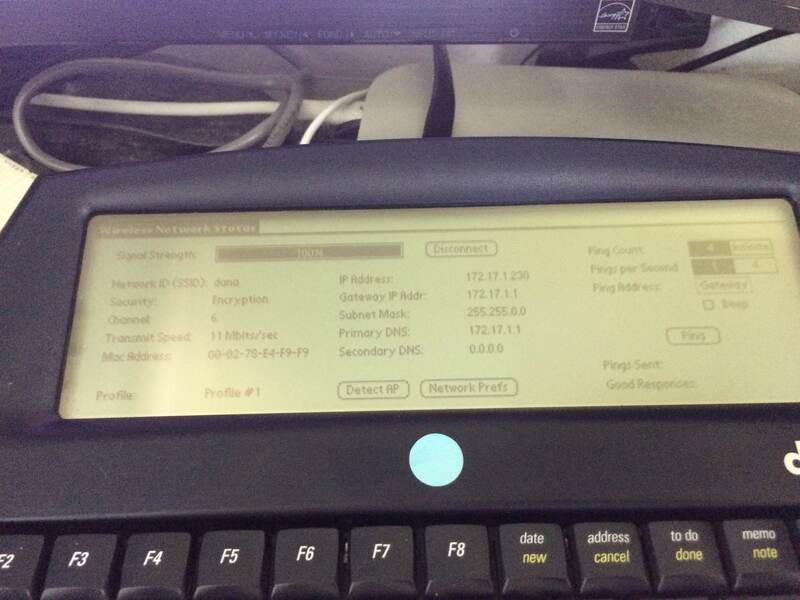 After extracting it and comparing the description with his write-up, it turns out to be using the exact same firmware as described by BobThePigeon_. So all the AES keys that encrypt the firmware is also the same. It also means that when there is a new update for PGP, this device should also be updateable. For the hardware debugging, I did not use JTAG to debug the firmware. I did not perform a dynamic analysis using a debugger. So basically I only used a few cables to read and write the SPI flash. 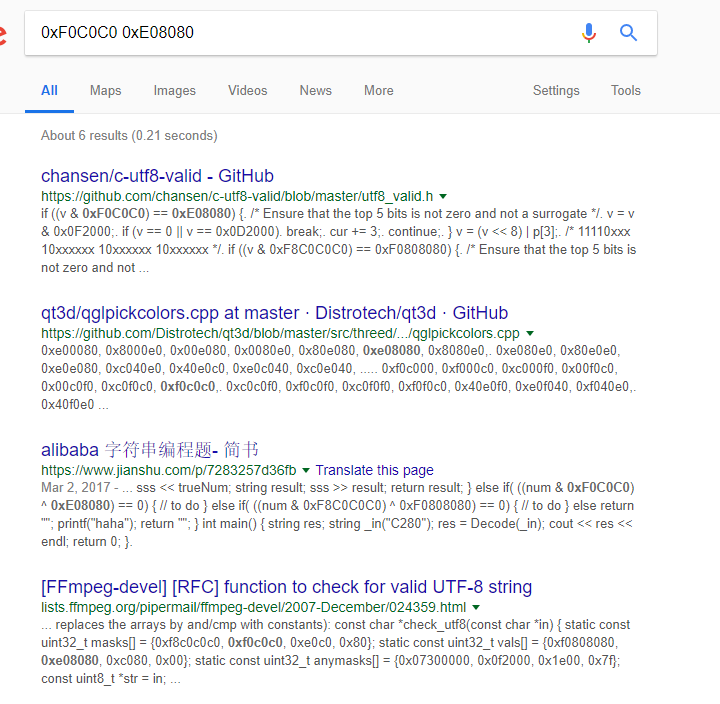 BobThePideon_ wrote that “All this information is in Dialog Semiconductor’s DA14580 SDK, however, you have to jump through some hoops to get the SDK.“. Well, it turns out getting the SDK is quite an easy process, and having the SDK helps a lot in understanding the firmware. 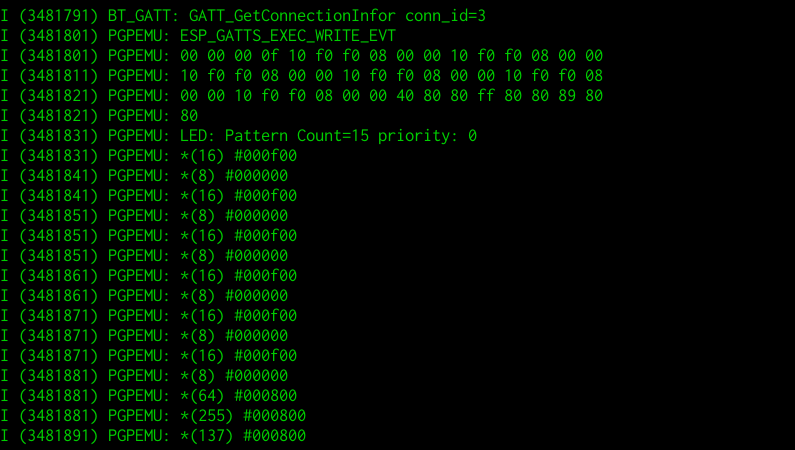 Even though I don’t have a DA14580 devkit board, I can try to compile and see what the resulting code will look like. The main firmware is 31984 bytes long and since this is Cortex-M0, it uses Thumb instruction set. This firmware is loaded at starting memory location: 0x20000000. It is not easy to understand the code just by looking the code in a disassembler, so my first approach is to try to see what a real firmware would look like if it has a full debugging information. After installing the DA1458x_SDK and Keil uVision5 we can compile the examples (for instance ble_app_all_in_one). My first thought was to generate assembly code from C file (like the -S option in gcc), but this is not allowed in the free version of Keil uVision. But we have the next best thing: an ELF with debugging symbol. On the output folder, I saw an AXF file, which is actually an ELF file with debug information. This helps a lot in understanding a firmware designed for DA14580. For example, in the PGP firmware, the function at the address 20006e24 just calls 0x33b21 which according to the rom_symdef.txt is __aeabi_memcpy. Renaming these procedure is like finding the edges of a puzzle. I spent quite a lot of time looking at SDK to understand more about its structure, convention, and constants that might help. The rest is just patience to trace every input and output of the subroutine to see how each value is generated. After reading things very carefully for a couple of days, I figured out all of the algorithms. It took me another few days to track the key being used, it turns out that the device key is not stored in the SPI flash but in the OTP (one time programmable) area (starting from 0x47000). The blob is broadcasted on the challenge, but the key is not. Writing a new code or using JTAG debugger will require me to solder more wires and to get the debugging tools to work. I am trying not to disturb the current soldering that I already made, and I don’t want to setup environment o write a new code, flash it and read the result. I found a simple way to extract the key by patching a single byte on the firmware. I just shifted the constant that was used to send the blob. Instead of sending only the blob area, it will send also the embedded key that is located 32 bytes after the blob. Compared to JTAG method, this patch is easier to reproduce by anyone that has a soldering iron and Raspberry Pi or Arduino. This is just a one-byte patch, by changing the value at 0x6425 (file offset in the decrypted main firmware) from 0x4c to 0x7c, we can extract the device key. Is there another way to extract the device key? It may be possible to extract it from the memory of the Pokemon Go app while it is running. But even if it is possible now, Niantic may change it so that extraction will not be possible in the future (e.g: by clearing keys after use or even do the decryption on the Niantic server). Reversing the Pokemon GO game? 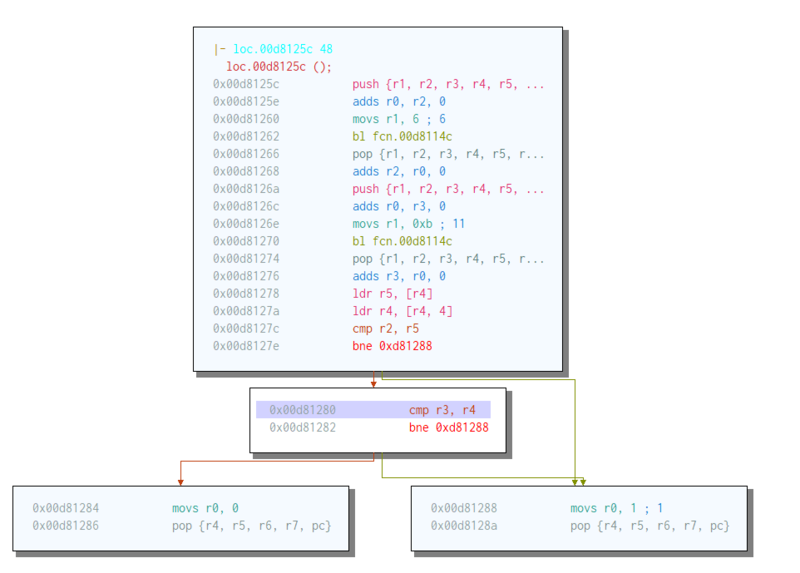 I tried reverse engineering the Pokemon GO game, but it is heavily obfuscated. I spent a few hours a day for several days but didn’t get very far. I can explain some of the things that I observed, but I won’t go into much detail since Niantic will probably change them anyway. Before going deep into the code, I checked on the version history of both the APK and IPA files, hoping that may be in the past they have included the certification process in an unobfuscated form (or less obfuscated form compared to what we have now). All versions before the release of PGP hardware contains incomplete PGP certification code which is still not obfuscated. Unfortunately, both the iOS and Android version contain obfuscation at the time of the PGP release. The old files are also not easier to read compared to the newer ones. The iOS version consists of a single huge binary named pokemongo. This is a mix of Objective-C, Unity and native C++ code. The binary uses ARM64 code. Due to the size, navigating and extracting something useful from this monolithic binary is quite hard. There is a group that actively maintains a patched version of Pokemon GO called PokeGO++ (they even have a subscription for this service). They patched the security checks that exist in the binary and added a new library with method swizzling to add new features to the game (such as Teleport, IV Checker, etc). If anyone is interested in reversing the Pokemon GO game, then this would be a good starting point. I did not investigate the iOS version further, apart from the big binary size, the other reason is that I only have an iPhone 5S which is already too slow to run the Pokemon GO game. In the Android version, Niantic employs SafetyNet so that changing the APK will stop it from working. It is also very sensitive to any leftover trace of rooting tools, and the existence of some files will make it refuse to connect. The Android version consists of Java/Smali Code, Unity code, and native library (accessed through JNI). Using existing tools we can decompile the Java part, but nothing interesting is there. We can also look at names of the Unity classes using existing tools, but the implementation is in native code (not in .NET IL). The native library uses THUMB instruction set instead of ARM/ARM64 (even on 64 bit Android). Almost every subroutine in the native code is split into tens to hundreds of blocks. My guess is they are using a custom obfuscating compiler, probably a fork of llvm-obfuscator. One subroutine is split into multiple blocks using MOV Rx, PC. This can be fixed using some pattern matching, but after you merged the routines, it turns out that it is still split into multiple small subroutines located far away. This small subroutines only does one thing, for example a+7 or a + b.
Strings are encrypted (obviously), but the decryption is not done in a single place. It is done when needed, and it also uses a different encryption method in each subroutine. So string extraction is not easy. Although I didn’t implement it, in my opinion, it is possible to unobfuscate a lot of the code. This will require quite a lot of coding. And when you succeed, they will probably already release a new version with a different obfuscation method that breaks your tool. The native code is accessed using JNI, but it only exports several symbols named java_XXX, for the rest, it uses “registerNativeMethods“. Of course, the address and the name of the methods are obfuscated. The process for PGP is separate from the game process. The game communicates using SSL. Bypassing the SSL is not too hard, but apart from the initial handshake, subsequent packets are encrypted with custom encryption (they use another layer of encryption on top of SSL). For the main game process, we can intercept the Unity code to see the request/response in Protobuf form, but unfortunately, this is not possible in the PGP process which is completely native code (it doesn’t load the unity library at all). 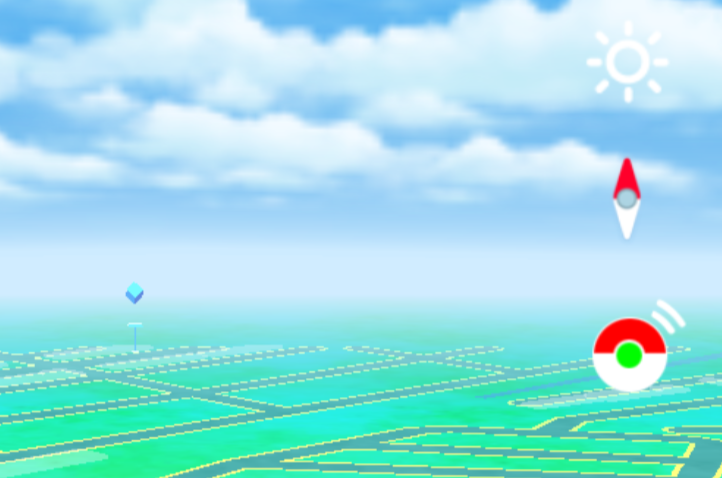 During the pairing process, the Pokemon Go game must be connected to the internet. This seems to indicate that whatever process required to generate the key was done on the server (Niantic) side. Currently I do not own any other Pokemon GO related devices such as Poke Ball Plus, Nintendo Switch or other implementation of PGP (such as Gotcha, Gotcha Ranger, and Pocket Egg) so I leave it to others to do it, or I might do it when I have the device(s). One interesting thing is that we can rename the device to Pokemon PBP and it will be recognized and paired as Poke Ball plus. How can datel/codejunkies and the Chinese do it? The short answer is I don’t know. I don’t know how they can generate the combination of a new blob, mac address, and device encryption key. Changing a byte in the blob (with same Mac) causes the challenge to be rejected. Changing a byte in the mac address also causes the challenge to be rejected. I only have one device to test and although I have many guesses, I am not sure which one is the answer. But for now, I decided to play safe. If someone wants to sacrifice their PGP and spread the blob/key combination, I suggest to use an original PGP, so that the Mac address is unique. And if that gets banned, you won’t upset a lot of people buying cloned devices. Please also note Niantic’s stance on this. What can you do now with this information? You can clone your own device, and make it better (e.g: in a better form factor, with a better display, battery, etc). Cloning your own device for your own use should be undetectable by Niantic. I only played Pokemon GO casually with my family, I am still at level 33 after two years playing this game on and off. Reversing this Pokemon GO Plus is only for fun and to satisfy my curiosity. But I am not that curious to spend a lot of money to acquire other kinds of Pokemon Go related hardware (Gotcha, original Pokemon Go Plus, Poke Ball Plus, etc). 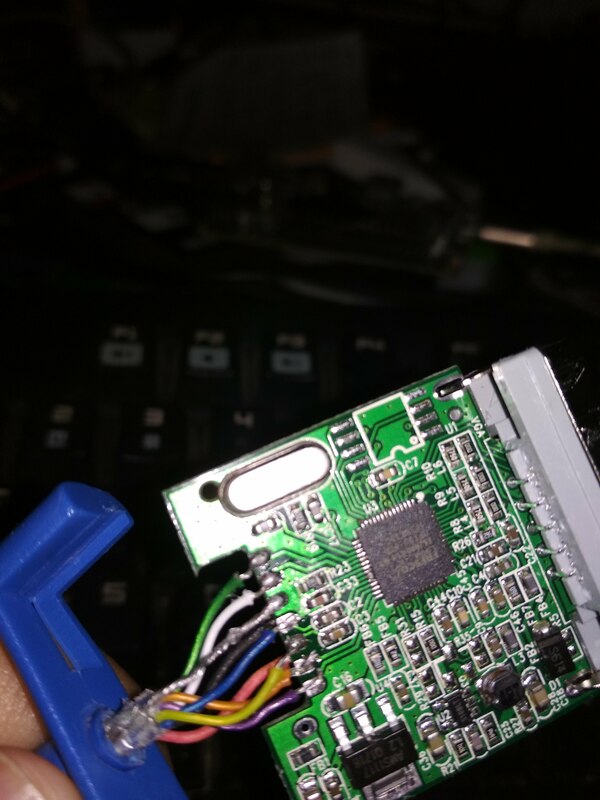 TLDR: If your FL2K dongle only works on USB 2.0 ports, it may have been wired incorrectly. Rewiring it should make it work. Two weeks ago I learned about osmo-fl2k from Hackaday and immediately ordered one from Aliexpress. 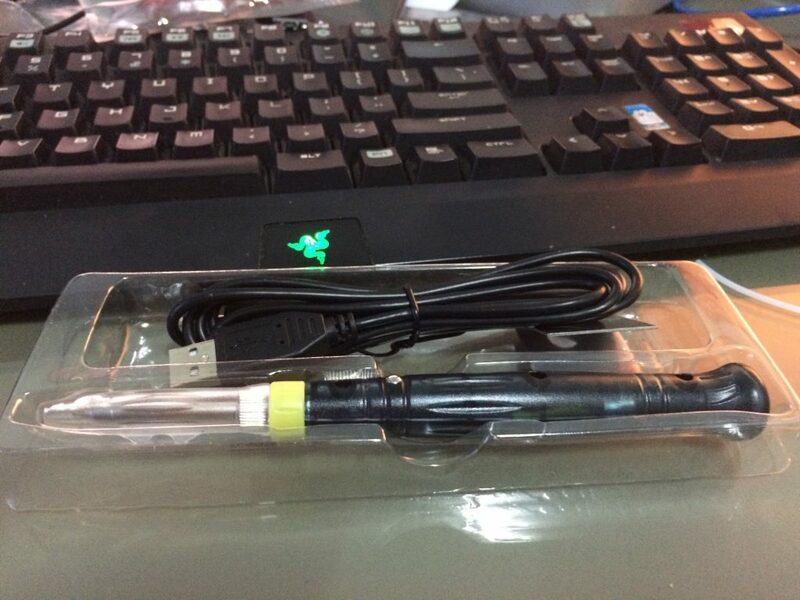 Two days ago, I received my order and tested it: it works with USB 2.0 ports on all of my computers (Windows and Linux, Desktop and Laptop), but when I plugged it in on a USB 3.0 port, it is not detected at all. I verified that the device ID is as expected by osmo-fl2k and that it works (with fl2k-test) on USB 2.0 port although it is very slow (14 MS/s). 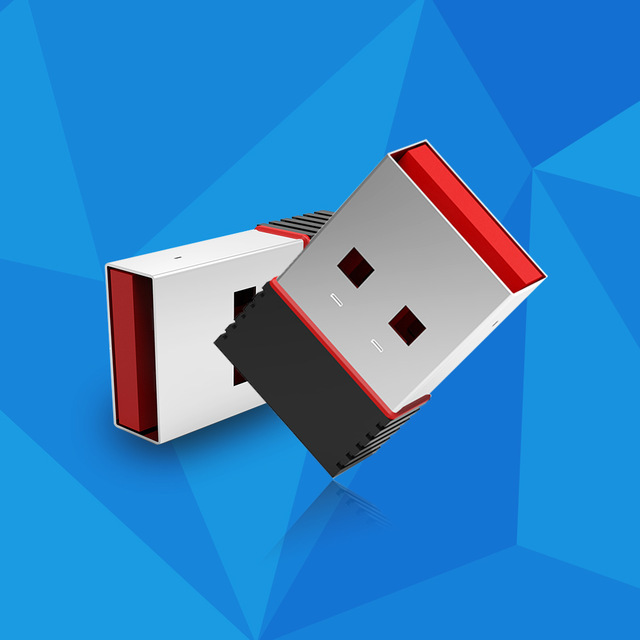 The device is never detected on USB 3.0 ports, with or without hubs. No message at all when typing “dmesg”, and Windows also doesn’t show anything on device manager (not even a blink on device manager when the device is plugged in). I verified that all of my USB 3.0 port works by plugging other USB 2.0 and USB 3.0 devices. Next step is to open this thing to verify that I really get the correct chip. Fortunately, the chip is correct, although the PCB is a bit different from the one shown in the osmo-fl2k website. The cable soldering seems to be ok, the connection looks good, and they even hot-glue it to make sure it stays that way. I began to notice that the cabling is a bit different from the one shown in osmo-fl2k website. On the website all 10 cables is on the front side of the PCB, and on mine there are only 8 of them on one side and two on the other side. I began to suspect something is wrong with the SSTX+/SSTX-/SSRX+/SSRX- cabling. But there is no specification/datasheet for the Chip, so how can I know the correct cabling? First I tried using my multimeter’s continuity tester to check the color of the cables and the connection. 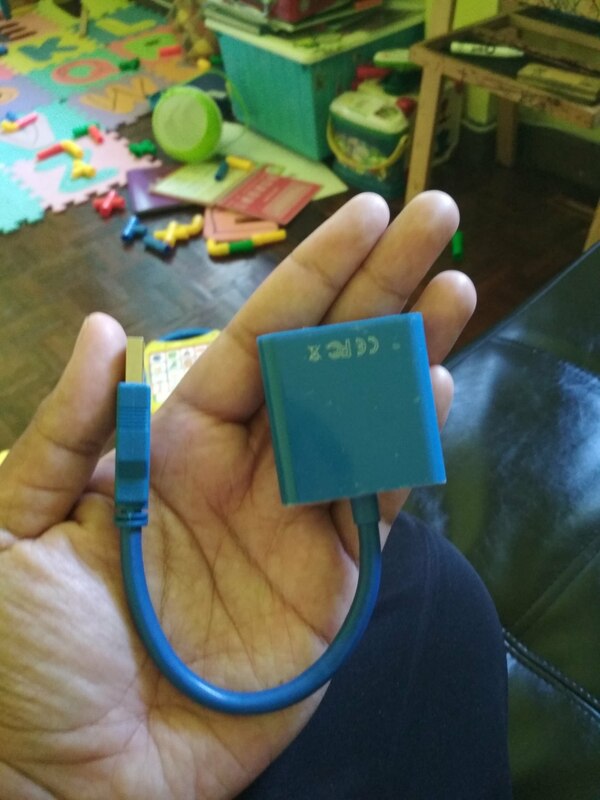 It matches the standard coloring as listed in the USB 3.0 page on Wikipedia. For example, testing D+ pin on the USB port shows that it connects to the green cable and D- connects to the white cable. I made an assumption: the quality of dongle used on the FL2K website looks good (mine doesn’t even have the SPI flash chip), so I assume they also use standard colors for the cables. Tracing from the pins to the cable shows that I need to rearrange the cables to match. For example, the first two pins on the top right of the chip should go to purple and orange cables (SuperSpeed receiver differential pair). After rewiring it, it works fine, the dongle is detected on USB 3.0 ports and I can transmit up to 108MS/s. I have an old motherboard (>5 years), and as you can see from the osmo-fl2k website that the transmission speed depends on the USB 3.0 controller that you have. I have successfully transmitted FM radio signal but I haven’t experimented with other types of signal yet. So the explanation of why it works on USB 2.0 ports is because it only uses VCC, GND, D+, and D- which was wired correctly. While on USB 3.0 ports, it tried to use the SSTX/SSRX pair and it doesn’t work. I hope this helps others that have the same problem. Just a word of caution: the colors of your cables might be different from the one that I have, the PCB layout that you receive may also be different, so be careful and double check everything. This is an Arduino (AVR) challenge. You can read the full official solution from FireEye, here I just want to show how we can just find use “grep” to quickly find the decryption function to get the flag. At first, I was going to try to understand what this binary does, but before going too deep, I had an idea: this binary is so small, what if I can just find the flag string without looking at the program’s logic. Looking at the strings present in the binary, it is obvious The flag is not in cleartext, so it must be encrypted somehow. Most encryption algorithm will involve the use of XOR (eor in AVR). 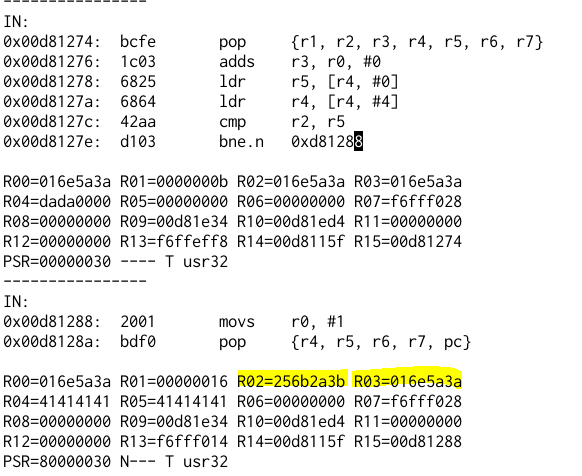 Looking at the disassembly, all EORs are just to clear a register (e.g: eor r1, r1). There is only one eor in 0xaee that is not clearing a register (eor	r25, r24), which is the last one in this grep output. Looking at the code around it: it is a single loop, with eor and subi. This must be the decrypt loop. We just need to find the encrypted data pointed by Z (which is a pair of R31:R30), and r24 (the xor key). Looking a bit up, we found the code that fills in the encrypted data. It sets Z with the value of Y (pair of R29:R28), clears the memory, and fill it with some bytes. Going a bit up again, we found a ret (return), which means its the end of another function/subroutine. It seems that r24 is filled somewhere else by the caller of this decrypt function. So the flag is [email protected] and the key is 219 decimal (0xdb). Last year I found a design error in the MD5 version of the hashing method used by Mastercard Internet Gateway Service. The flaw allows modification of transaction amount. They have awarded me with a bounty for reporting it. This year, they have switched to HMAC-SHA256, but this one also has a flaw (and no response from MasterCard). If you just want to know what the bug is, just skip to the Flaw part. When you pay on a website, the website owner usually just connects their system to an intermediate payment gateway (you will be forwarded to another website). This payment gateway then connects to several payments system available in a country. For credit card payment, many gateways will connect to another gateway (one of them is MIGS) which works with many banks to provide 3DSecure service. The intermediate payment gateway will convert the format to the one requested by MIGS, sign it (with MIGS key), and return it to the browser. Again this will auto POST, this time to MIGS server. Notice that instead of communicating directly between servers, communications are done via user’s browser, but everything is signed. In theory, if the signing process and verification process is correct then everything will be fine. Unfortunately, this is not always the case. The MD5 value is still the same. So basically, when the data is being sent to MIGS, we can just insert additional parameter after the amount to eat the last digits, or to the front to eat the first digits, the amount will be slashed, and you can pay a 2000 USD MacBook with 2 USD. Intermediate gateways and merchant can work around this bug by always checking that the amount returned by MIGS is indeed the same as the amount requested. MasterCard rewarded me with 8500 USD for this bug. The new HMAC-SHA256 has a flaw that can be exploited if we can inject invalid values to intermediate payment gateways. I have tested that at least one payment gateway (Fusion Payments) have this bug. I was rewarded 500 USD from Fusion Payments. It may affect other Payment gateways that connect to MIGS. We can’t shift anything, everything should be fine. But what happens if a value contains & or = or other special characters? Note: The values in all name value pairs should NOT be URL encoded for the purpose of hashing. The same as before. Still not really a problem at this point. Of course, I thought that may be the documentation is wrong, may be it should be encoded. But I have checked the behavior of the MIGS server, and the behavior is as documented. May be they don’t want to deal with different encodings (such as + instead of %20). There doesn’t seem to be any problem with that, any invalid values will be checked by MIGS and will cause an error (for example invalid amount above will be rejected). To exploit this we need to construct a string which will be a valid request, and also a valid MIGS server response. We don’t need to contact MIGS server at all, we are forcing the client to sign a valid data for themselves. It can be said that this is a MIGS client bug, but the hashing method chosen by MasterCard allows this to happen, had the value been encoded, this bug will not be possible. MasterCard did not respond to this bug in the HMAC-SHA256. When reporting I have CC-ed it to several persons that handled the previous bug. None of the emails bounced. Not even a “we are checking this” email from them. They also have my Facebook in case they need to contact me (this is from the interaction about the MD5 bug). Some people are sneaky and will try to deny that they have received a bug report, so now when reporting a bug, I put it in a password protected post (that is why you can see several password-protected posts in this blog). 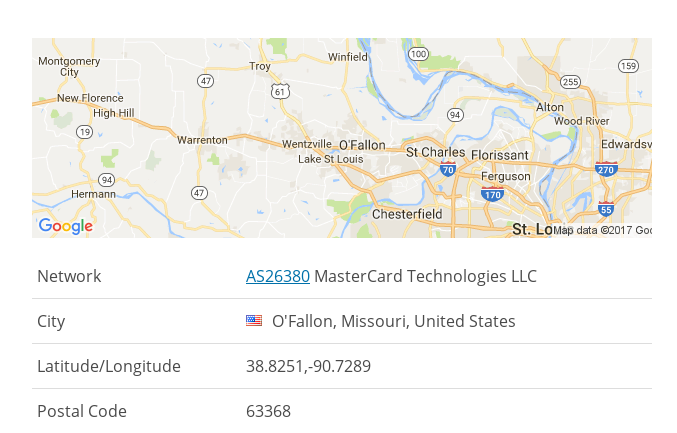 So far at least 3 views from MasterCard IP address (3 views that enter the password). They have to type in a password to read the report, so it is impossible for them to accidentally click it without reading it. I have nagged them every week for a reply. My expectation was that they would try to warn everyone connecting to their system to check and filter for injections. As an extra note: even though payment gateways handle money, they are not as secure as people think. During my pentests I found several flaws in the design of the payment protocol on several intermediate gateways. Unfortunately, I can’t go into detail on this one(when I say “pentests”, it means something under NDA). I also found flaws in the implementation. For example Hash Length Extension Attack, XML signature verification error, etc. 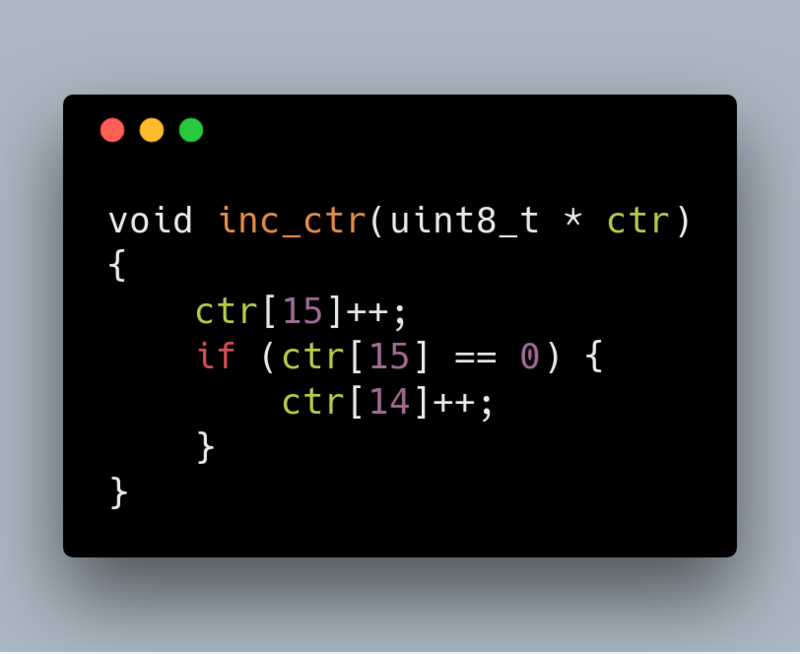 One of the simplest bugs that I found is in Fusion Payments. The first bug that I found was: they didn’t even check the signature from MIGS. That means we can just alter the data returned by MIGS and mark the transaction as successful. This just means changing a single character from F (false) to 0 (success). So basically we can just enter any credit card number, got a failed response from MIGS, change it, and suddenly payment is successful. This is a 20 million USD company, and I got 400 USD for this bug. This is not the first payment gateway that had this flaw, during my pentest I found this exact bug in another payment gateway. Despite the relatively low amount of bounty, Fusion Payments is currently the only payment gateway that I contacted that is very clear in their bug bounty program, and is very quick in responding my emails and fixing their bugs. Payment gateways are not as secure as you think. With the relatively low bounty (and in several cases that I have reported: 0 USD), I am wondering how many people already exploited bugs in payment gateways. I should have spent some time after each task to immediately write it down, since I already forgot a lot of small details when writing this.